Rugby Australia has issued Israel Folau a Code of Conduct breach notice “warranting termination of his employment contract” to which he has 48 hours to respond after his controversial social media post. In a statement released on Monday, Rugby AU confirmed the breach notice, with Folau able to either accept or request a hearing. 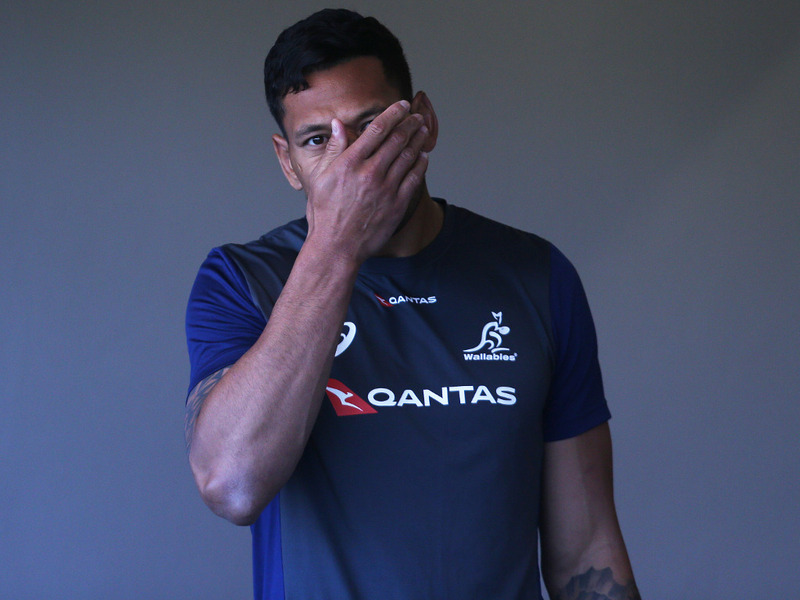 “The Rugby Australia Integrity Unit deemed that Folau had committed a high-level breach of the Professional Players’ Code of Conduct warranting termination of his employment contract. Folau has 48 hours to accept the sanction or have the matter referred to a Code of Conduct hearing,” the statement read. Rugby AU CEO Raelene Castle said in the statement Folau had been warned about his posts last year but failed to meet his agreed obligations. “At its core, this is an issue of the responsibilities an employee owes to their employer and the commitments they make to their employer to abide by their employer’s policies and procedures and adhere to their employer’s values. Should Folau request a hearing, an independent three-person tribunal would hear that case and determine whether Folau has breached the code and, if so, what punishment is appropriate. Folau has indicated he wants to fight for his career, though he said on Sunday that if he ultimately had to walk away from rugby he would. Should Folau be sanctioned or sacked, he could appeal the decision via the Supreme Court but that possibility would be well down the track. 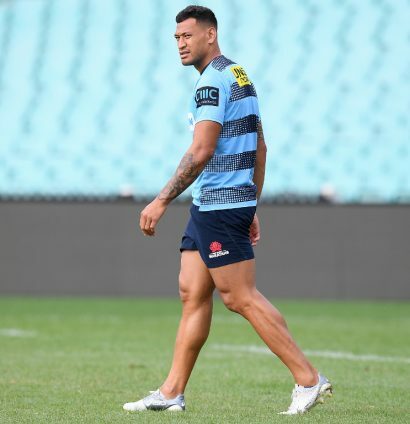 NSW Rugby has already stood Folau down after meeting with him in the wake of his controversial social media post last week. Both Rugby Australia and NSW Rugby reiterated after that meeting that they were still intending on working towards terminating his contract. Wallabies coach Michael Cheika said earlier in the day that he wouldn’t be selecting Folau after his latest divisive post.